(Includes Ad-Din Mobile App, Website & One Admin Account*). Imagine! No Dependency, No Hosting and Coding Headache. In a user-centric world, Mobile App and Websites are an essential part of an organization so others can get to know more about the organization and stay engaged. Most of our Masajid are struggling to maintain a quality website that conveys the right information. At Ad-Din we've challenge that and automatized many traditional ways of posting contents to the websites by one to many approach. Millennials are all about Mobility, Smartphones are an integral part and one the biggest revolution of this age that our organizations can't ignore, With Ad-Din's full featured Mobile App your can reach them effectively and information will remain at their fingertip. With Ad-Din, not only Masajid and/or Madaaris get a quality website, but also high-quality Mobile Apps for both iOS and Android Phone and Tablets, that helps the Masajid and/or Madaaris and the communities be in touch with each other from wherever they are. Many a time Masajid and Madaaris Management staff are not technical and depends on volunteers or experts to help with technology, and in the vast majority of cases Masajid or Madaaris don't have much technical expertise to maintain a quality website or Mobile App and structure the data in more precise manner which results in lots of administrative burdens, dependencies and lack of reporting in the long run. Any generic CMS platforms such as WordPress to run your Masjid websites, require a lot of technical know-how to setup a quality website, and second, they all require constant updates and security patches to keep them up-to-date. In majority of cases, that leads to a website that's displeasing in terms of quality and vulnerable. With Ad-Din, Masajid can focus only on the content and leave the technical know-hows such as hosting, server, database, reporting, coding/programming, network, scaling, security, Storage, Bandwidth, Software updates, keeping up with on how to run a quality website and Mobile App to Ad-Din's team. Ad-Din has over 100+ automated transactional messages (push notification and emails) which fill the communication gap automatically for many transactions such as when Masjid or Madrasah adds and Event all the Followers are notified automatically with short and concise meaningful automated messages. On top of that Ad-Din offers Messages module which allows to send the targeted custom message as the Push Notifications and Emails such as funeral, prayer time changes, Lecture reminder, Donation requests for a cuase etc. Organizations can also include the URL for the payment system where community can donate online, Ad-Din make you reach the community at their fingertip from anywhere in the world. Emails are sent through Ad-Din's care4fully selected paid vendor service whose only job is to make sure all those emails get delivered to the recipient's Inboxes. Along with emails, Push Notifications are sent as well out to all the Masjid or Madrasah "followers" who has downloaded Ad-Din mobile app. InshaAllah, with all these automated infrastructure, the community is well informed. Ad-Din offers fully integrated powerful School Management system as well, there are many more benefits when you use Ad-Din platform to power your Masjid's or Madrasah's operations. 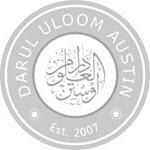 In this day and age, a quality website, that's fully functional, is not only a reflection of the Masjid but also a reflection of the community that supports the Masjid and Madrasah/Religious School. Many of us know the fact the University and Schools leveraging the technology to ease their day to administration and keeping everyone in the know with powerful IT medium why cant our Masaajid and Madaaris! 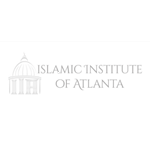 Not only the Islamic community deserves a quality website, but also the community we live amongst seeks out information in real time conveniently. And also, reaching out to the community via mobile app make every effort at the Masjid and Madrasah much more efficient.